Retail giant Marks and Spencer (M&S) has unveiled a new range of reusable carrier bags made with 75% post-consumer recycled (PCR) plastic in a bid to boost consumer awareness around plastic pollution and raise money for recycling infrastructure. 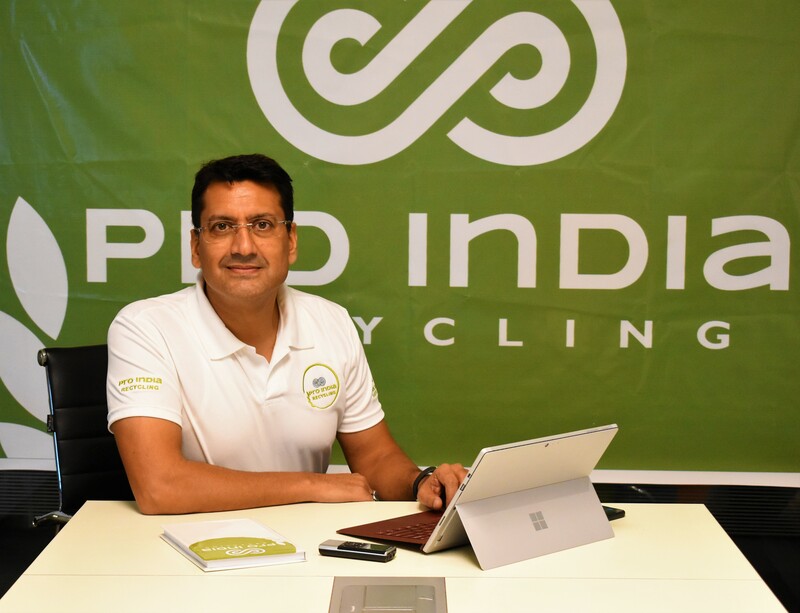 The bags, which are set to go on sale on Tuesday (6 November), are made using plastic waste sourced from social enterprise Plastic Bank, which aims to prevent plastic litter from entering rivers and seas across Asia and Latin America. Through its schemes across Haiti and the Philippines, Plastic Bank pays members of the public who volunteer to collect plastic litter. Once volunteers have returned the plastic to one of Plastic Bank’s 36 recycling centres, they can choose between receiving cash or being given cryptocurrency tokens that can be exchanged for food, water, cookstoves and fuel. “With more plastic than fish predicted to be in the ocean by 2050, it’s vital that we all take action to minimise plastic waste,” M&S’s product developer Natalie Tate said. 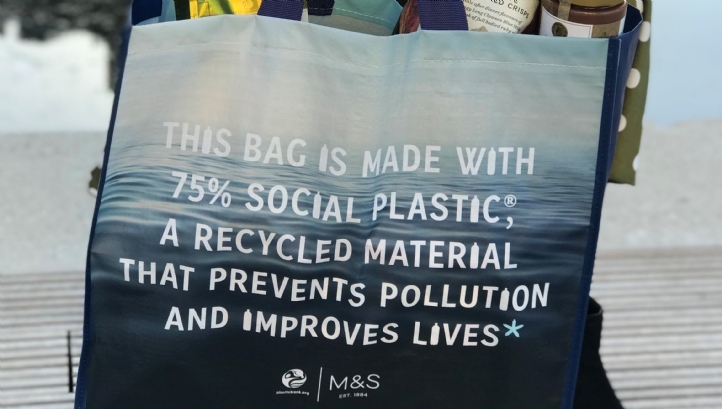 M&S’s bags will be produced in Vietnam from recycled plastic flakes produced at Plastic Bank’s Manilla recycling centre. By sourcing the plastic for its new bags from Plastic Bank, M&S hopes that the organisation will receive enough money to open a new recycling facility. The bags will be rolled out across all of M&S’s UK stores and will retail for £1.30. “M&S has powerfully responded to customer demand for sustainable products and created an immediate impact on the lives of our collectors,” Plastic Bank’s chief executive David Katz added. The move from M&S comes as the company strives towards a 2022 target of ensuring that all plastic packaging that could end up with customers will be “widely recycled”. As part of its aim, the retailer is planning to develop one recyclable plastic polymer for use across all of its plastic packaging. It has additionally removed plastic sleeves from its knitwear, plastic cutlery from its cafes, plastic stems from its cotton bods and non-recyclable coffee pods from its range in recent times. Elsewhere, M&S has collaborated with other big-name companies across the retail and food and drink sectors to call for policy reforms aimed at boosting plastic recycling rates. Recommendations include a call for the Government to consider measures such as virgin material taxes and tax relief on recycled plastics to create markets for secondary materials. Additionally, the company recently partnered with recycling and packaging production firm Viridor, as well as rival firms Sainsbury’s and Tesco, to introduce a solution for hard-to-recycle black plastic food packaging.